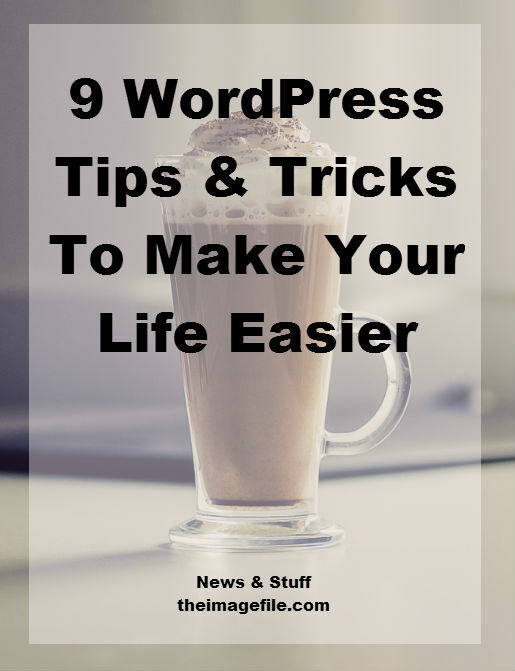 9 WordPress Tips And Tricks To Make Your Life Easier! WordPress is a great content management system and a wonderful format for blogging. It’s attractive and user friendly. However, if you use WordPress on a regular basis it’s important that you know some tricks of the trade so that the interface and editor are as easy to use as possible. 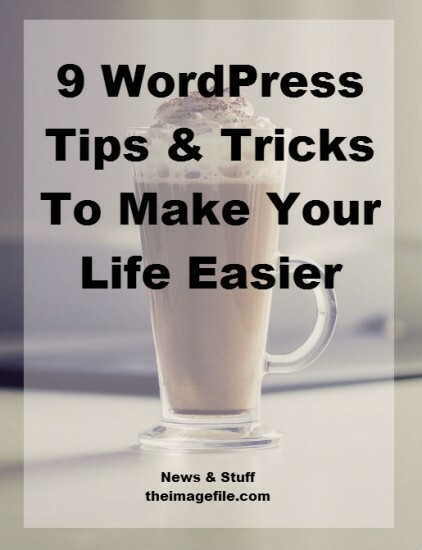 Here are 9 WordPress tips you might not know that should help towards making your blogging life easier. On the page that lists all your posts you can edit which elements you see; for example the SEO ranking, the featured image and categories selected. Just click “Screen Options” at the top of the page and check the items you want displayed. This is a really great way of avoiding information overload and making the behind-the-scenes clean, simple and well organised. Rather than letting default settings decide how much of each post will be displayed on your homepage you can choose yourself. There is a button that inserts a “Read More” tag (highlighted in green) which pushes the text after to the next link. This is useful if you have a post that naturally breaks into sections and encourages readers to click through for more information. Many of us use shortcuts in software like Microsoft Word or Gmail, but did you know that some shortcuts also work in WordPress when you’re writing a post. Some of these shortcuts only work when you use the Visual Editor and some work in both Visual and Text Editors (HTML). Here’s a list of the shortcuts that work within WordPress. If you want to link to existing content within your blog, you don’t need to copy the URL like you would with an external link. Just highlight the text you want to link, press “link” and then click “link to existing content”. This displays a list of all the posts and pages that are published on your site allowing you to link to any of them. This is useful when you don’t want to leave your page or open more tabs to find the URL you’re looking for. We all have widgets that we either no longer need or want but might require later. You don’t have to get rid of these permanently, instead you can save them for a later date. At the bottom of the widgets list is a box called ‘Inactive Widgets’. Just drag the widget you no longer want into this box. This is great if you want to temporarily take a widget away without losing the settings. Many people have a category that pretty much every post fits in e.g. Archives. However, it can be frustrating to have to select that category every time you write a new post. If you go to Settings > Writing you can select your default category to something else so that whenever you start a new blog post it will automatically select that category. With the new version of WordPress you can add images without even clicking on the ‘Add Media’ button. Instead you can just drag and drop them directly into the editor window and they will display. This is super helpful when you just need to add one image to a specific point in the text. If you’re a member of any Facebook groups you’ll most likely have seen a post, with rules or an introduction, that is always pinned to the top of the page. This is because the admin has pinned the post or made it ‘stick’ to the top of the page. You can do the same thing within WordPress if you want to keep an important post at the top of your blog. All you have to do is click ‘Edit Visibility’ in the Publish window on the right of your screen, and check ‘Stick this post to the front page’. This is a great option if you have a special offer you’re running etc and you want to make sure all your readers see. Sites like Youtube have made it very easy to embed their content into software like WordPress. You just copy the embed code they have under each video. However, it’s now even easier. 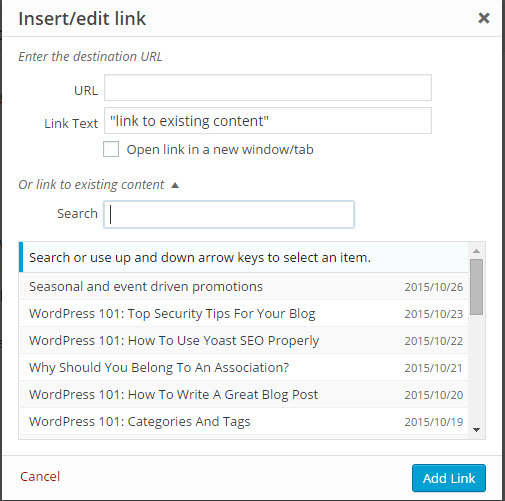 All you have to do is paste the link to the content into the editor window on its own line, and WordPress will automatically embed the video or image into your post. There are 28 sites that this Auto Embed feature works with including Youtube, Twitter, Instagram and Vimeo. You can see a full list of sites that work with this feature here. These simple tips and tricks will hopefully speed up your workflow and make blogging even more enjoyable. What do you do to make your blogging life easier?